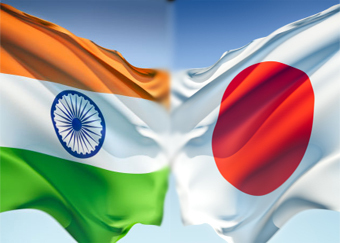 NEW DELHI (PTI): Defence Minister Manohar Parrikar will go on his maiden foreign visit to Japan later this month as part of India's effort to step up its defence diplomacy. Parrikar will undertake a two-day trip starting from March 30, the first foreign visit by an Indian Defence Minister since November 2013. "A number of requests have come from various countries and a visit by Indian Defence Minister was due for a very long time. Parrikar is going as part of defence diplomacy to strengthen our bonds," defence sources said. The last foreign visit was undertaken by then Defence Minister A K Antony in November 2013, when he visited Russia. Analysts point out that Parrikar's choice of Japan for his first international visit is of strategic importance. China, Japan's neighbour, has been perturbed by increasing Indo-Japanese ties besides increasing American interest in the region. The thrust of Parrikar's visit will be increasing defence cooperation and pushing the government's "Make in India" initiative. Interestingly, the Government is yet to take a final decision on a major defence deal for acquiring 12 amphibious aircraft -- the US2 from Japan. The Defence Acquisition Committee, headed by Parrikar, had sought additional information on the deal and hence a final decision was not taken. While a number of foreign defence ministers have visited India since the Modi government took over, no trip has been organised by the Indian side so far. Last year, interim Defence Minister Arun Jaitley was scheduled to visit US, but it was put off due to his health issues. Parrikar is likely to undertake a number of visits soon.